Instant Pot Blintz Soufflé is Kosher and dairy and perfect for Shabbos brunch. 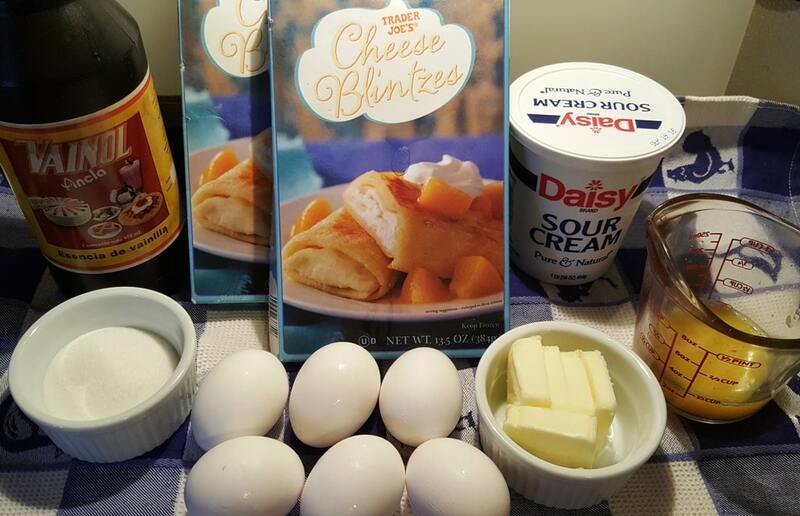 Cheese filled blintzes cook up in a sweet and fluffy egg batter. Blintzes were a staple in my life, growing up. Of course they were, I’m a Jew and Jews love blintzes. 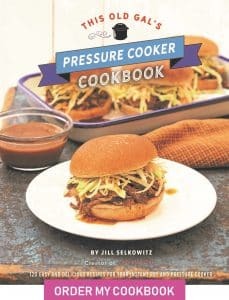 We love our Delicatessens and we love all the yummy Jewish ethnic food like blintzes,Noodle Kugel, bagels, lox and cream cheese, Pressure Cooker Friday Night Shabbos Brisket and so on. 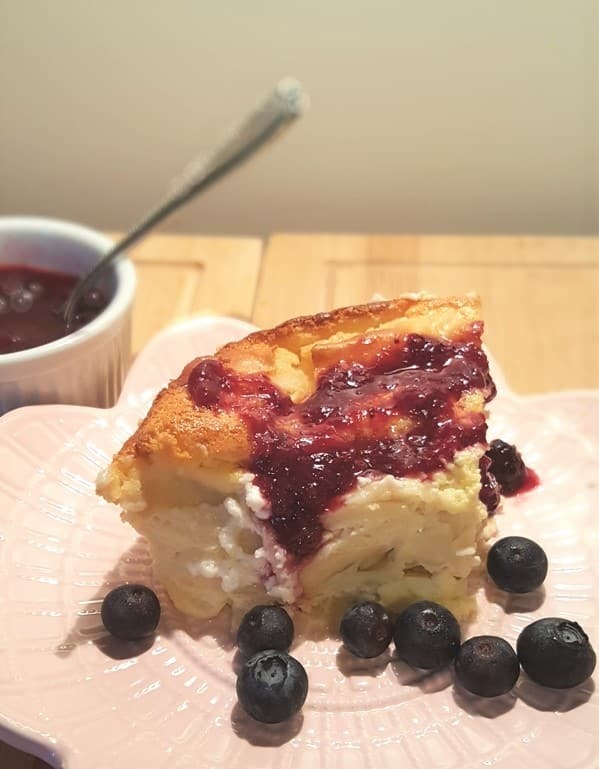 This Instant Pot Blintz Soufflé made in the Pressure Cooker/Instant Pot with Fresh Berry Compote is so delicious and believe it or not, I had even heard of this fabulous dish, until I was in my twenties! A friend of mine, called Arielle, had recently converted to Orthodoxy. She always invited me to attend the service at the Aish HaTorah Center in the Pico Robertson area of Los Angeles. Most of the wives showed up towards the end of the service. It is a tradition and a Mitzvah to invite people over to their homes for a long Shabbos lunch and to relax and enjoy each other. It was fun meeting new people all the time and I loved getting invited for lunch. Arielle and I were always “booked” for a month or so at a time! While I am not Orthodox, it was nice to relax and do nothing but hang out with friends for most of the day. Otherwise, I don’t take much time to just relax. Michael Abramson and his wife used to have us over about once or twice a month. 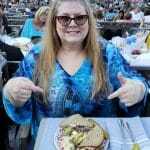 Mrs. Abramson’s Blintz Soufflé with Blueberry Sauce was one of her specialties. Oh my gosh, it was so good. Cherry Blintz, Apple Blintz, Blueberry Blintz, all can be used in any combination. Gosh, I miss those days. I played around with her recipe and was able to turn her recipe into an Instant Pot Blintz Soufflé!!! 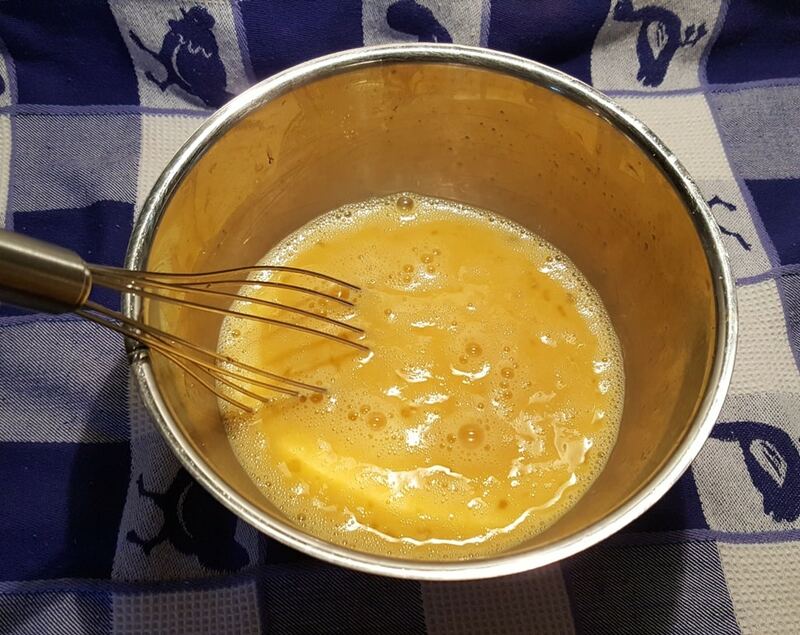 A good whisk, helps to get the eggs nice and frothy using a mixing bowl. Or, if you want a lighter, easier and fluffier option, VitaMix works really well, as shown below. 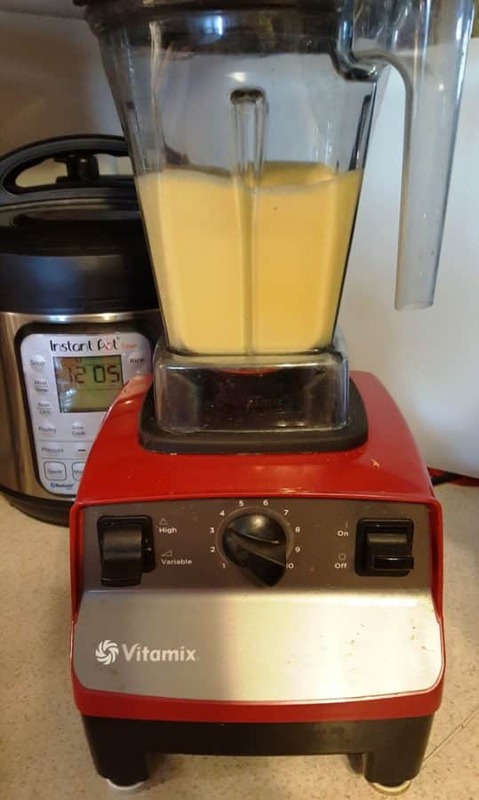 A VitaMix is also useful for mixing up the eggs in my Instant Pot Feta and Red Pepper Egg Bites recipe. 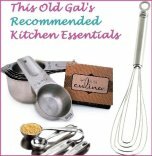 If you have a Blender or VitaMix , use it! 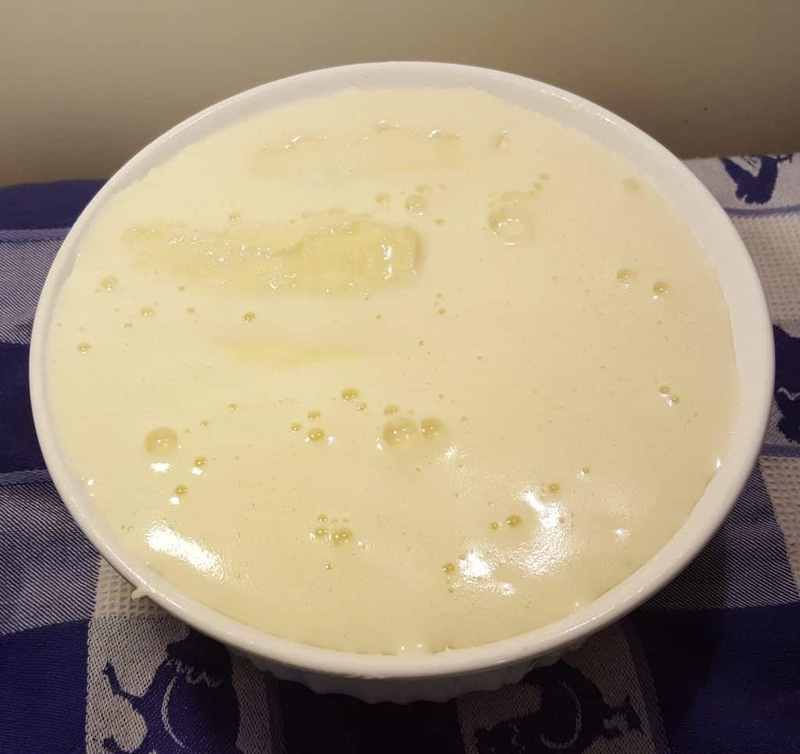 The aeration of the ingredients will make a for a very light and fluffy Instant Pot Blintz Soufflé batter. 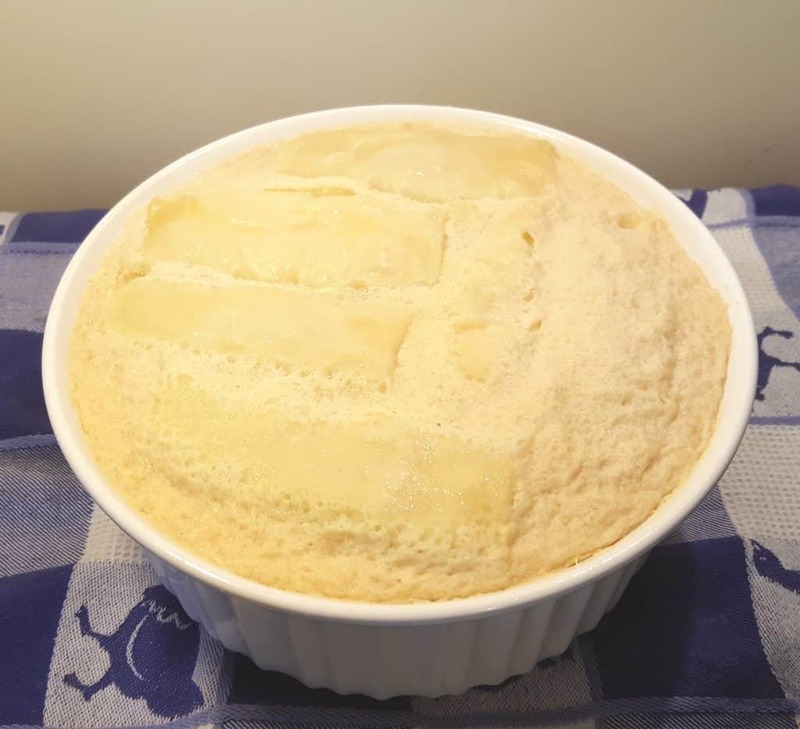 Instant Pot Blintz Soufflé is made in a casserole dish using the “pot in pot” method. This means that water is added to the cooking pot and the ingredients for Instant Pot Blintz Soufflé are put into a casserole dish and placed onto a trivet to cook. The Blintzes are placed in the casserole dish. 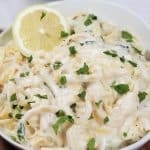 The egg batter is whipped up and added to the dish. A French White Casserole Dish and the Ekovana Stackable Pan Set fit nicely in an Instant Pot, Mealthy MultiPot or Pressure Cooker! The egg batter will rise up over the blintes and then settle down a bit. 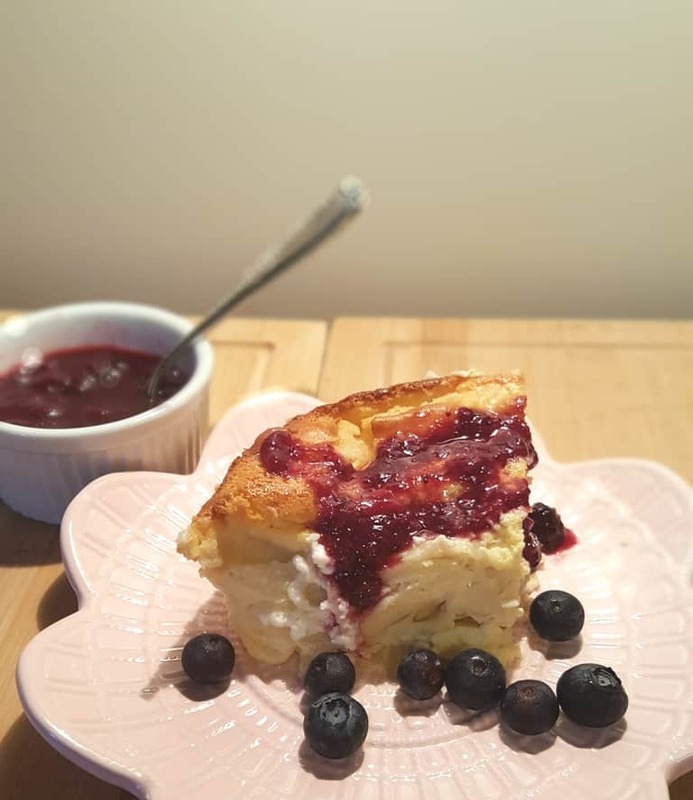 When using plain cheese blintzes, rather than fruit and cheese blintzes in the Instant Pot Blintz Soufflé, adding a dollop of fruit compote between the layers is quite nice. 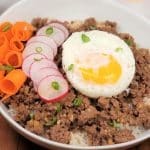 This works well in the oven method, where a larger baking pan can be used. For cooking in the Instant Pot, Mealthy MultiPot or Pressure Cooker, use the biggest pan that fits and/or use a larger size pressure cooker. Instant Pot Berry Compote, Instant Pot Dutch Apple Compote or Instant Pot Strawberry Compote are all good choices. 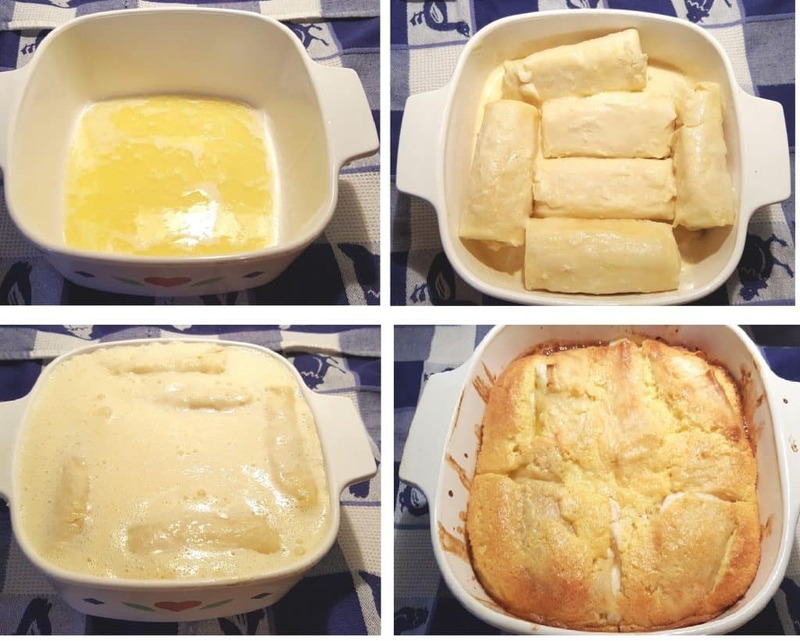 If using the oven for this Blintz Soufflé recipe, a large baking pan/casserole dish can be used with a double or triple recipe. Cooking the Blintz Soufflé in the Instant Pot, Mealthy MultiPot or Pressure Cooker will yield a moister interior and the top will not brown. Using the oven method, the Blintz Soufflé will be dryer and the top will become a nice golden brown. Both methods are delicious and I don’t think one way is better over the other. My preference is to add Berry Compote and fresh berries to my Instant Pot Blintz Soufflé made with plain cheese blintzes. I’d love to know how you use your Instant Pot, Mealthy MultiPot or Pressure Cooker for Shabbos. Do you have tips and tricks you would like to share with others? If so, please let us know in the comments below. 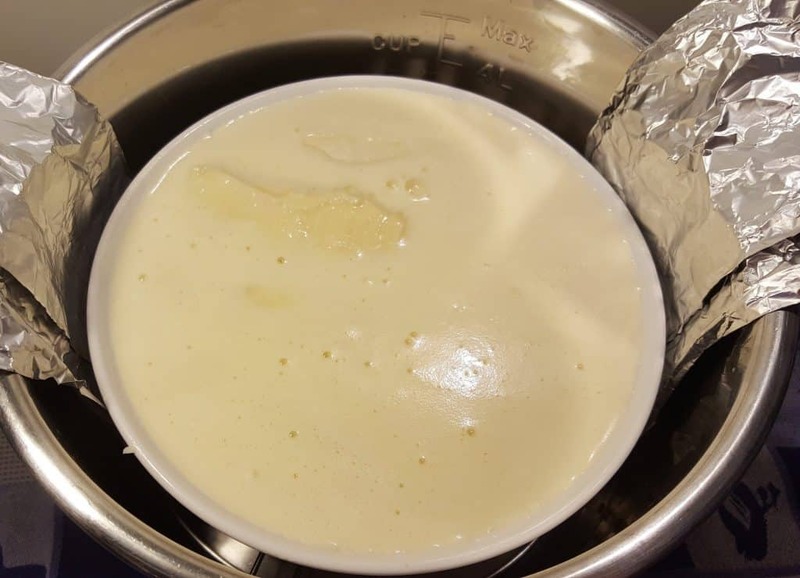 Melt butter in Casserole Dish. 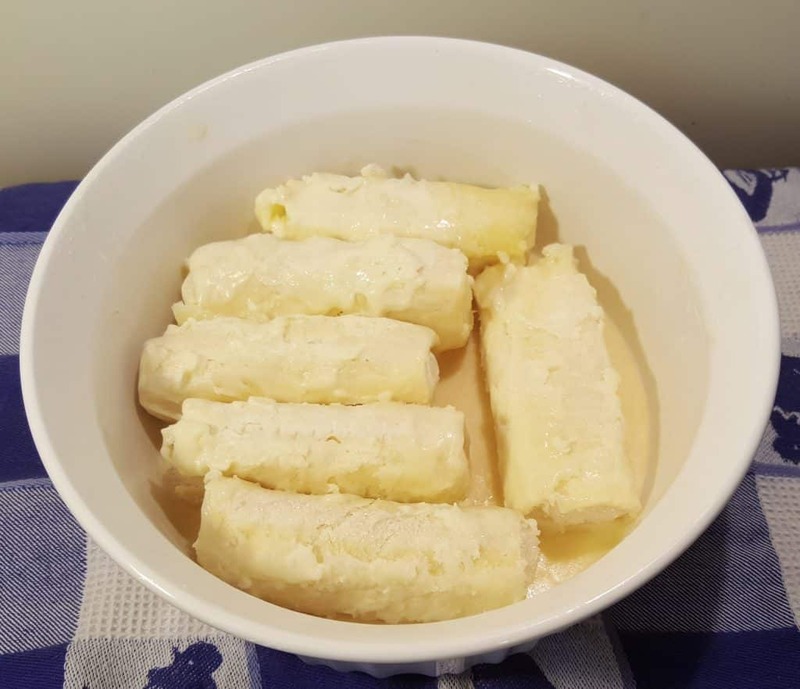 Roll Blintzes in butter and arrange them so they fit into the Casserole Dish. Blend Soufflé Mix together using a Food Processor or VitaMix. and pour over Blintzes. Add 1.5 cups of water to Pressure Cooker cooking pot and place in a Trivet into the Pressure Cooker cooking pot. Using a Foil Sling or other type of sling, lower Casserole Dish onto the Trivet. Lock on lid and close Pressure Valve. Cook at High Pressure for 30 minutes. Allow a full Natural Release. Brown under broiler, if desired. Preheat oven to 350 degrees Fahrenheit/177 Celsius. Blend together Soufflé Mix using a Food Processor or VitaMix and set aside. Melt butter in 8 or 9 inch square Pyrex baking dish. Roll Blintzes in melted butter. Pour Soufflé Mix over Blintzes. 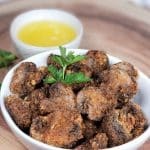 For oven method, the recipe can be doubled or tripled. Cherry, Blueberry, Apple and Cheese can all be used together, if desired. If desired, cut the Blintzes into thirds and mix with the Soufflé Mixture and then pour into a deep pan to bake. 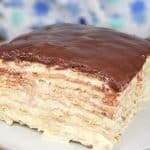 Cut Blintzes are easier to serve in a buffet like situation. 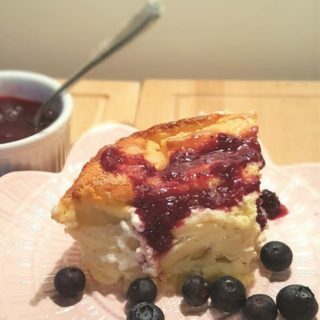 PIN this Instant Pot Blintz Soufflé! Um, would be a good recipe if I knew how to make the blitzes first. Maybe include that in the recipe.